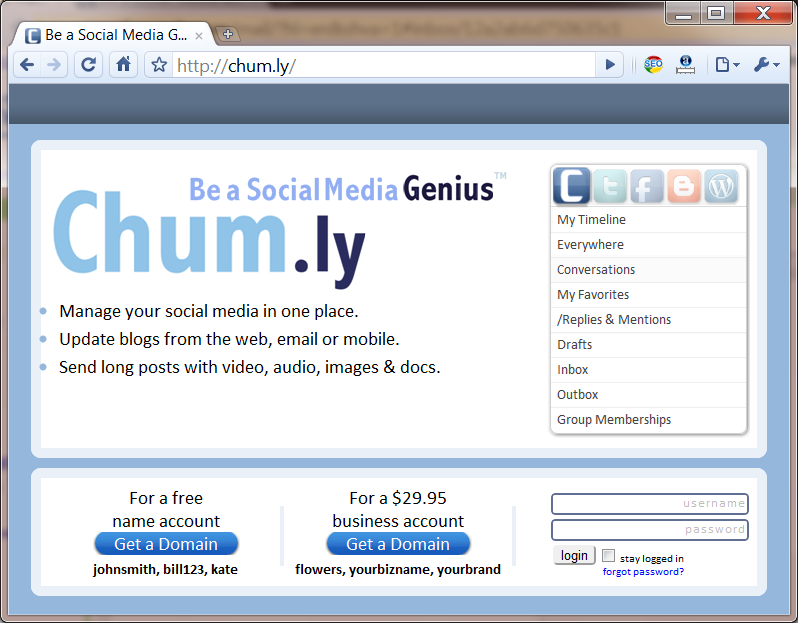 Let us introduce you to the new social media network Chum.ly. With a jingly "Be a Social Media Genius" they have paved a good way into the digital world indeed. 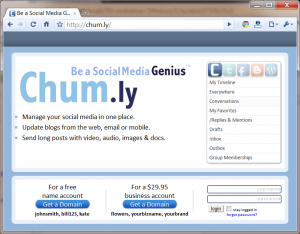 Manage your social media in one place. Update blogs from the web, email or mobile. Send long posts with video, audio, images & docs. Of course chumly.com is forwarding to chum.ly.